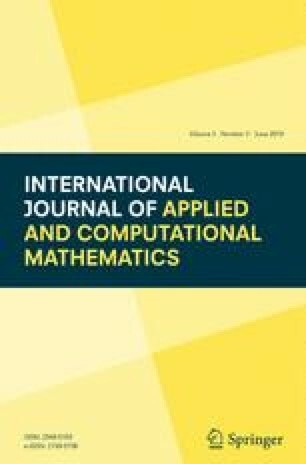 In this paper, a computational analysis has been performed for hydromagnetic natural convection in a partially heated porous square enclosure filled with Al2O3-water nanofluid. The bottom wall of the enclosure is partially heated at constant high temperature Th and the vertical walls are kept at constant temperature Tc which is lower than that of hot wall while the remaining walls are thermally insulated. A modified model for effective thermal conductivity of nanofluids is introduced by taking into account the random motion of nanoparticles. Finite element method is implemented to solve the governing partial differential equations which have been formulated based on Navier–Stokes and energy balance equations along with Brinkman equation. The numerical simulation has been carried out for a range of Rayleigh number (103–106), solid volume fraction of nanoparticles (0–5%), Hartmann number (0–100) and Darcy number (0.001–1.0) and detailed discussion has been presented based on results in terms of streamlines, isotherms, average Nusselt number and average velocity, respectively. Comparison of the present results with the previously published results has been performed and excellent agreements were found. The results show that the flow and temperature fields inside the enclosure are sensitive due to the variation of Rayleigh number, concentration of nanoparticles, Hartmann number and Darcy number. It is also found that optimum heat transfer take place in higher Rayleigh number, concentration of nanoparticles and Darcy number. In addition, nanofluid shows a greater heat transfer enhancement as compared to base fluid for all concentrations of nanoparticles considered.